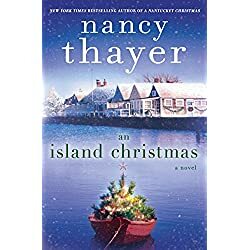 Mystery, Romance, Historical Fiction, Action & Adventure, Contemporary Fiction, Horror, Suspense, Paranormal… today’s featured books have a little something for everyone! The magical folks of Misty Key have always lived in harmony. But that all changes when a maid at the local hotel is murdered, and a rogue witch is to blame. Desperate to find her sister and keep the peace in her hometown, Ember channels her psychic gifts to solve the case. Although, balancing psychic abilities, family drama, and a corporate job in NYC is easier said than done. 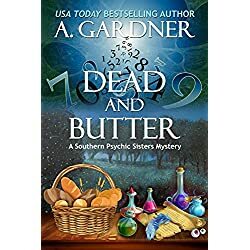 Her search takes her from the gulf coast to gator-ridden swamps, and with the help of a cynical medium, a hopeless shifter, and a bloodhound named Yogi, she learns that Misty Key is the heart of a supernatural experiment – one that could destroy Misty Key and all of its inhabitants. Gorgeous, smart, drama-free, and even nice – Delaney is the perfect "girlfriend." When I’m with her I don’t have to pretend. It’s like she sees the real me. And I can see a future with her. But that’s dangerous. Because the truth is, Shane Hawthorne doesn’t actually exist. He’s a shield to hide who I really am. Fraud. Runaway. Addict. Murderer. 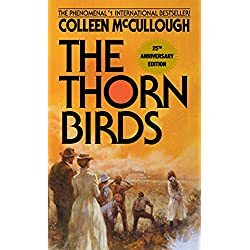 Now, 25 years after it first took the world by storm, Colleen McCullough’s sweeping family saga of dreams, titanic struggles, dark passions, and forbidden love in the Australian Outback returns to enthrall a new generation. As powerful, moving, and unforgettable as when it originally appeared, it remains a monumental literary achievement – a landmark novel to be read… and read again! Peter Ash came home from the wars in Iraq and Afghanistan with only one souvenir: what he calls his “white static,” the buzzing claustrophobia due to post-traumatic stress that has driven him to spend a year roaming in nature, sleeping under the stars. But when a friend from the Marines commits suicide, Ash returns to civilization to help the man’s widow with some home repairs. 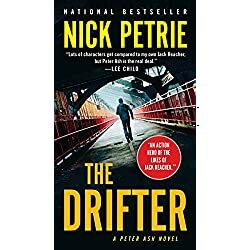 Under her dilapidated porch, he finds more than he bargained for: the largest, ugliest, meanest dog he’s ever encountered…and a Samsonite suitcase stuffed with cash and explosives. 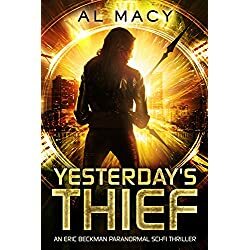 As Ash begins to investigate this unexpected discovery, he finds himself at the center of a plot that is far larger than he could have imagined…and it may lead straight back to the world he thought he’d left for good. A serial murderer known only by a grotesquely apt nickname – Buffalo Bill – is stalking women. He has a purpose, but no one can fathom it, for the bodies are discovered in different states. 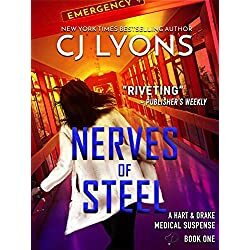 Clarice Starling, a young trainee at the FBI Academy, is surprised to be summoned by Jack Crawford, chief of the Bureau’s Behavioral Science section. Her assignment: to interview Dr. Hannibal Lecter – Hannibal the Cannibal – who is kept under close watch in the Baltimore State Hospital for the Criminally Insane. Dr. Lecter is a former psychiatrist with a grisly history, unusual tastes, and an intense curiosity about the darker corners of the mind. 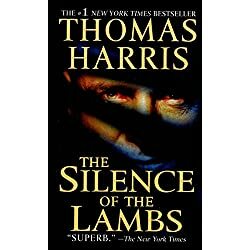 His intimate understanding of the killer and of Clarice herself form the core of Thomas Harris’ The Silence of the Lambs – and ingenious, masterfully written book and an unforgettable classic of suspense fiction. A wacky widow, a wild divorcee, a frustrated wife and their mid-life hormonal boss are the "lunch ladies". 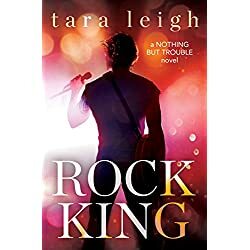 On a quest to find solace from life’s disappointments and recapture their youthful spirit, Dani, Sam, Alex and Max set out on a cross-country road trip. 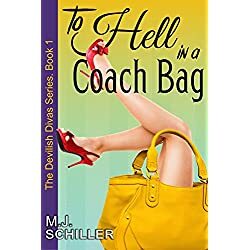 As their sisterhood brings adventure and opens the door to new relationships, happiness could be just around the bend, or they may be heading to Hell in a Coach bag. Life’s gone crazy in East Goodland, New York. 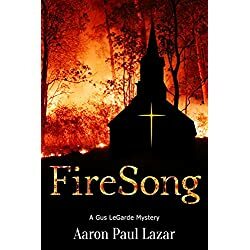 When Gus’s country church is hit by a rogue tornado, the bones of a missing parishioner are revealed in a field, shocking the parish and devastating the dead man’s family. Days later, heroin is found in their beloved minister’s bloodstream, throwing the congregation into chaos. Strange panel vans roar through the countryside at weird hours of the night. The local salt mine collapses due to illegal mining practices. Gas fires burn in water wells. Watering holes turn to brine. Crops are dying. Tempers are short. Forest fires threaten. To top it off, the new mine lies directly over ancient Indian burial grounds, bringing anguish to local tribes and inciting riots at the mine site.